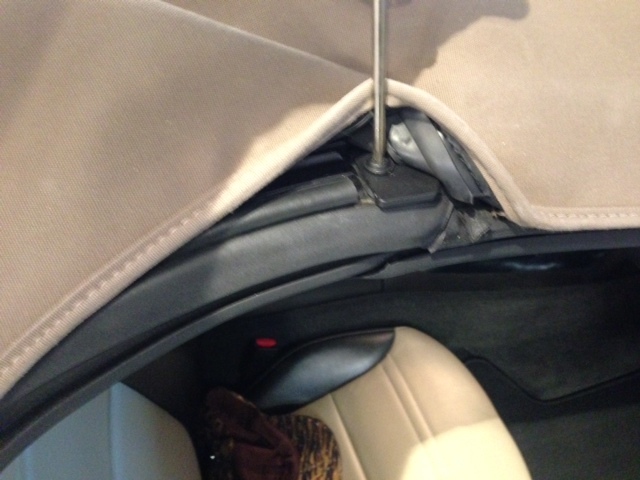 So the wife's car has started experiencing the classic top pinching on the right side. 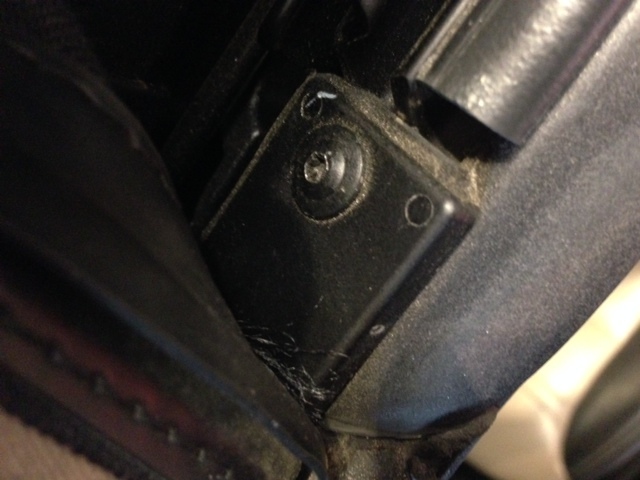 I inspected it and found that the plastic tab was broken off leaving only a small part held by the screw. I went looking for the part based on numbers posted online. I talked with Tom at CED and he did a search of the national database and found one right side clip left in GM inventory. He told me that these clips have been out of production for several years. I have one spare set from my backup top to use as patterns. I am aware that some are making their own tabs but if we can get some purpose built replacements that would be preferable. That's a great idea Rob. Assuming we can get some made, I will let everyone know. Well, I "know a guy" who works in plastics. And he has a kid that works at a tool and die shop that builds molds. Maybe I can find, er I mean talk to him and see if he can find an old mold lying around and my bo,.. I mean his boss wouldn't mind him using it. Then the owner of the tool shop (who already told him he doesn't mind his employees doing guvment jobs off the clock) would allow this guys son to CNC a couple of cavities into the mold. Seriously, if Rob can send me one (if they are truly symmetrical) or one of each, I can reverse engineer in CAD, my kid can machine cavities and I could run some of these off in a small machine. I would offer my employer a $200.00 set up fee which is a typical charge we would apply to any customer. (He will likely decline it, but I'll offer anyway.) I know we have nylon regrind lying around (been molded once and ground up) that would work fine. My math is coming with with $5 a set. I mean, if this guy I know is good with doing that. They are left and right. 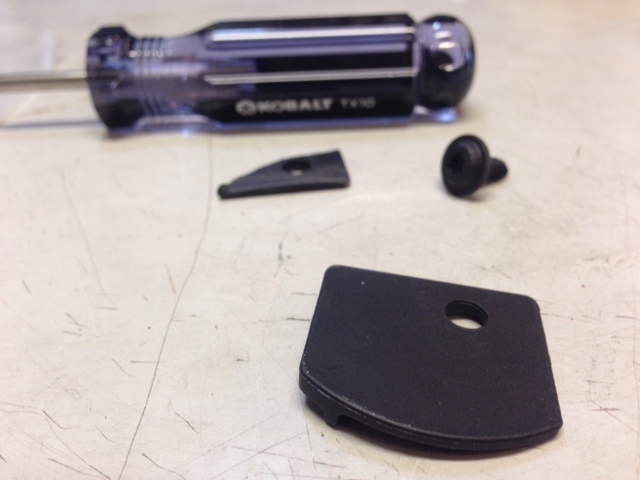 The issue is the plastic used for the factory part is not very robust and they break. My friend is looking at some better material. M paranoid about the tops. My first bet would be nylon, but the problem with nylon is that it is hygroscopic enough that it can be brittle in very dry environments. Like say for somebody that lives in a desert? Polyester is not quite as "tough" but is less vulnerable to moisture changes. Hell, if we make a mold I can shoot about damn near anything in it and we can test durability if anyone wants to be a guinea pig! 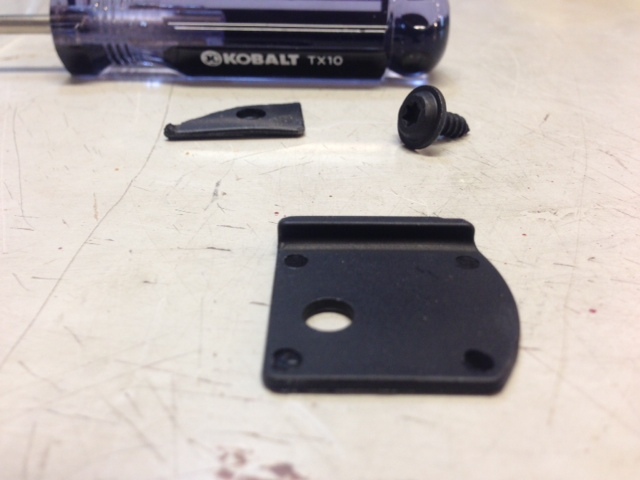 Polycarbonate is "tough sh!t" but it can be susceptible to stress cracking if exposed to ketones and some solvents. I wonder if they have to be plastic...? The guy who is researching it is a materials guy for Boeing and other aerospace companies. He is talking about some kind of laser cut material thet is fracture and wear resistant. He said the easiest way is to give the two parts I have to his guy who will scan them and then use that to laser cut from a sheet. 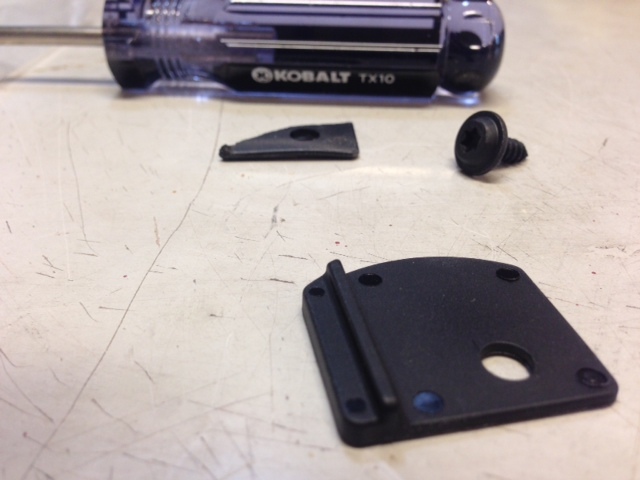 We believe we can fit it with one screw and hold it in place with friction vice the raised lip. But he also talked about a couple of other ideas so we will see what he comes up with. I'm also curious about the current design because mine was the steel tab with a rubber overmold. We could possibly design one that could be used on either side - I'd engrave an "L" one one side and "R" on the other so the installer could flip it over. If we did get a mold made I would run a couple hundred on the first shot and put them on the shelf. The biggest expense is cleaning out the machine, hanging the mold and starting it up. Once it's running it's cheaper to keep banging them out. Keep us posted on your source's ideas Rob (which I'm sure you will.) If I can help I gladly will! Made my tabs from high density polyethylene. Very slippery and very strong. Easy to saw or mill. Same stuff they use for feet on appliances and furniture. I will go that route if we are unable to reproduce the actual part.